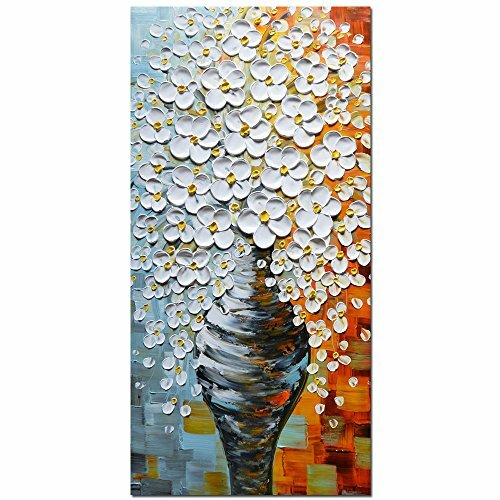 Contemporary gallery fine art by Asdam Art --- Abstract impressionist Still Life Blossom Flowers in a Vase. palette knife 3D oil painting. To see closeups please click on above images. Size: 50*100cm(20*40inch)---To see closeups please click on above images.